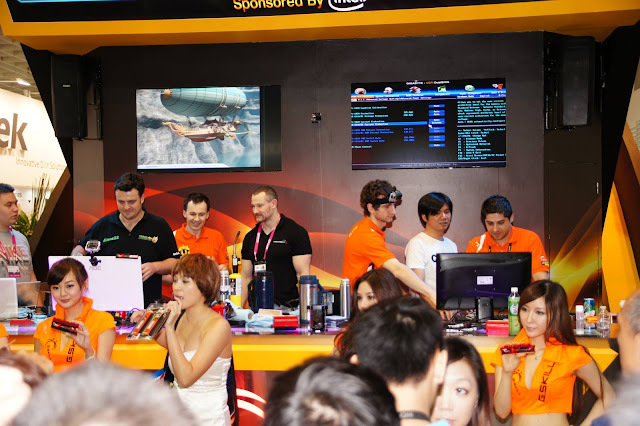 GIGABYTE Tech Daily: TeamAU, HiCookie and G.Skill crew break 3DMARK05 world record live on stage at Computex GSkill booth! TeamAU, HiCookie and G.Skill crew break 3DMARK05 world record live on stage at Computex GSkill booth! G.Skill put on another fantastic OC show during Computex and had GIGABYTE over on Friday to do some overclocking live. TeamAU was there with dinos22 and youngpro. 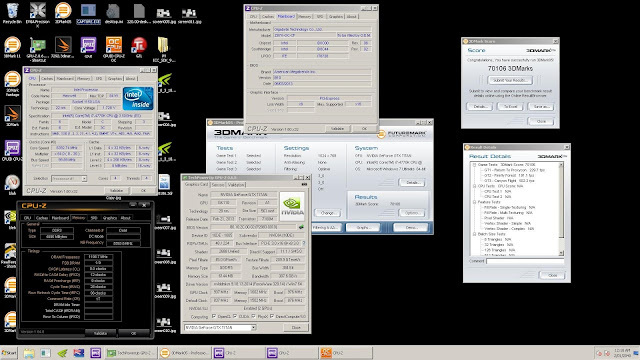 HiCookie, hiwa and Christian Ney were also present for a day of fun and a very late world record minutes before the venue pulled the power plug on a high clocking Z87X-OC rig and GTX Titans. 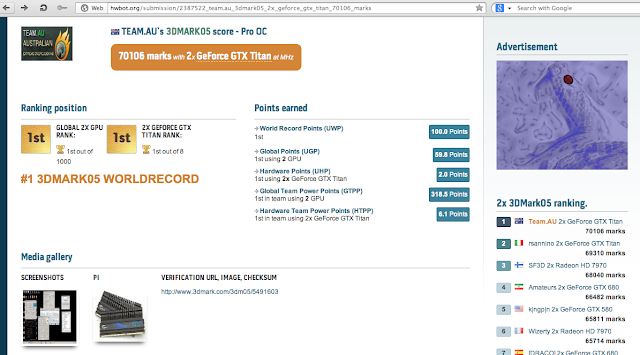 Boys from TeamAU, HiCookie and G.Skill crew managed to take the 3DMARK05 world record live on stage with some help from the new Intel Haswell platform and the new Z87X-OC board and dual Titan GPUs. You can enjoy all the photos and videos over at G.Skill page!